Wondering if something you have can be recycled? Send us a photo of the item with a short description, and we will do our research to provide you with the right answer as soon as possible! Keep Omaha Beautiful’s guide to helping you become a better recycler. Omaha Recycles Right is a campaign created by Keep Omaha Beautiful to help answer your questions relating to recycling in Omaha. This campaign highlights what, where, why, and how items can be recycled in Omaha. 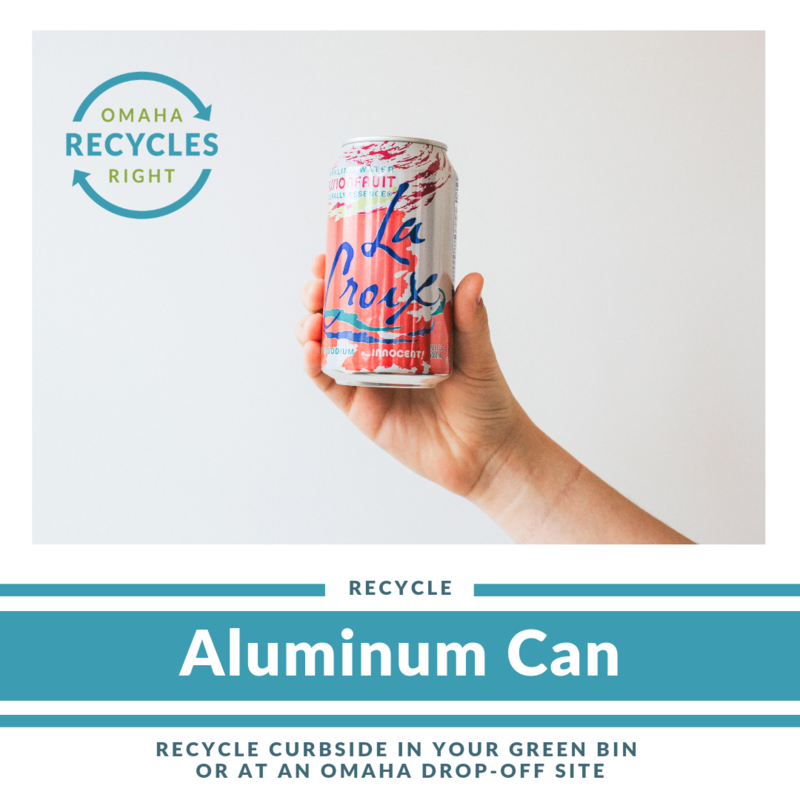 Follow along on Facebook and Instagram for Omaha Recycles Right tips and tricks. Because taking simple steps to recycle right can be easy and impactful! 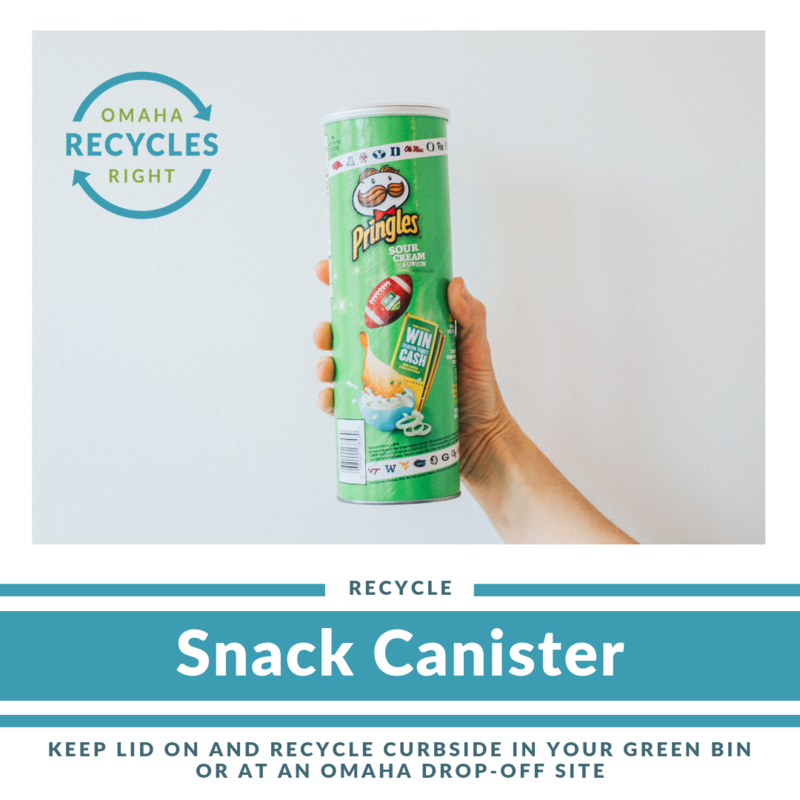 By taking just a few seconds to recycle right, you can help conserve limited natural resources, reduce pollution, contribute to clean water, and reduce Omaha’s reliance on landfills. Recycling provides the opportunity to create new packaging and products from what we already have. When it comes to recycling, every community is different! Most communities have subtle differences in what they accept for recycling, so that's why it's important to read the guidelines specific to Omaha. As much as we might want everything to be recyclable, many things cannot be recycled through Omaha's curbside recycling program. When you "wishfully recycle" something that cannot actually be recycled, you can contaminate the whole load, often causing even the good materials to go to the landfill. If you are unsure about something you are trying to recycle, it’s best to throw it out and let it go to the landfill to avoid contamination. Just because something is placed in the recycling bin, doesn't mean that it will be recycled. It’s not recycled unless it’s recycled right! Learning to recycle the right way is good for Omaha and good for the environment. Join us on this journey and help us spread the word! When it comes to recycling, it can sometimes be difficult to know What Goes Where. We created this quick visual guide to help you find where and how to recycle different items you may encounter on a daily basis. Click the photos below to find out What Goes Where! Please note that this is not an exhaustive list. Additionally, Keep Omaha Beautiful does not officially endorse any of the brands shown below. If you have any comments or questions about this guide, please contact us at hellokob@cityofomaha.org. For an extensive guide on What Goes Where, visit Wasteline's Recycling and Disposal Chart or First Star Fiber's Recycling Guide to search specific items by name. Chip bags are made out of plastics that CANNOT be recycled by traditional means. However, they CAN go in the orange Hefty® EnergyBag® for energy recovery. Just tie up the orange bag and place it in a curbside green bin along with your mixed recycling. 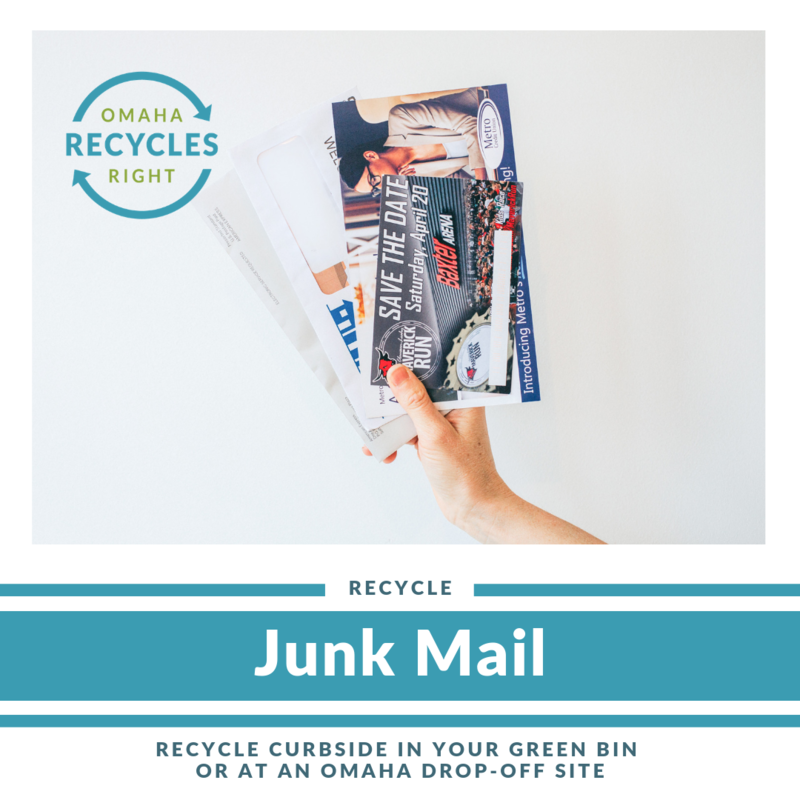 Postcards, paper envelopes with small clear plastic windows, and fliers can be recycled curbside in your green bin or at an Omaha drop-off site. Pizza boxes are recyclable but crusts and grease stains are not! Make sure to remove crusts and scrape cheese off the inside of the box before recycling. If the box is soaked in grease, throw it in the trash! 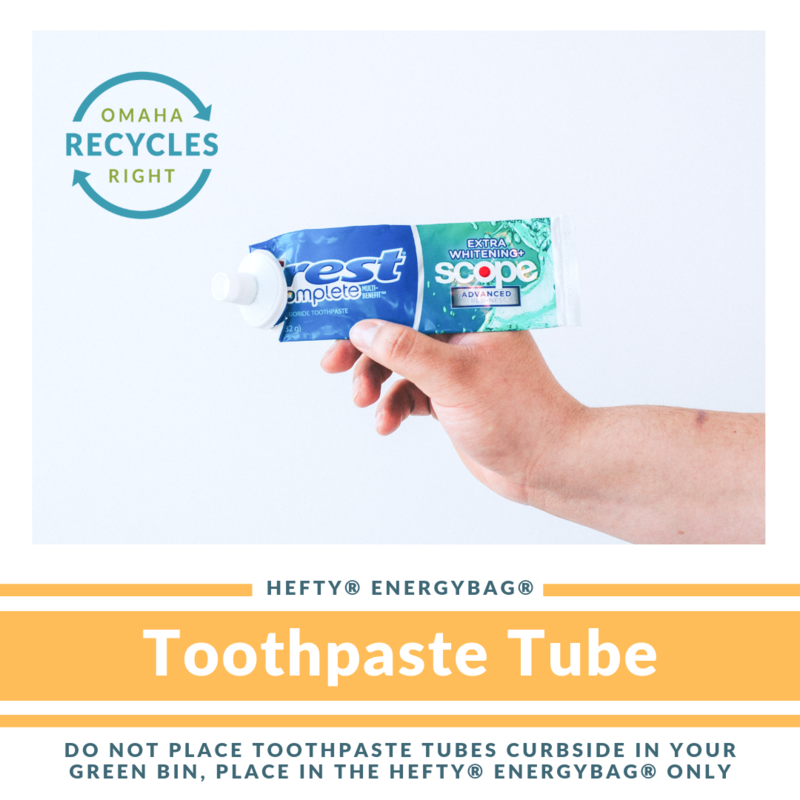 Toothpaste tubes are made out of plastics that CANNOT be recycled by traditional means. However, they CAN go in the orange Hefty® EnergyBag® for energy recovery. Just tie up the orange bag and place it in a curbside green bin along with your mixed recycling. Where Can I Recycle Right? Wondering where you can recycle right in Omaha? 1. Get a green bin and recycle from your curb! Green recycling bins are available to households within the Omaha city limits for free! 2. Find a recycling drop-off location near you! There are a number of full-service drop-off sites located around the city where you can recycle your mixed recycling as well as your glass. If you would like to recycle your glass, you must take it to an Omaha recycling drop-off site. 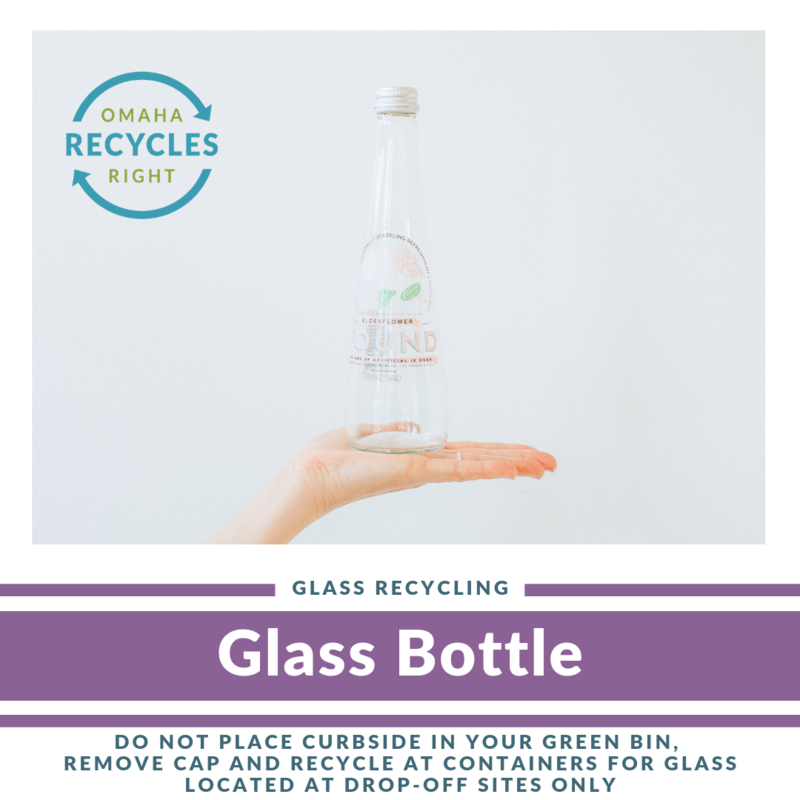 Glass is NOT accepted curbside in your green recycling bin because it contaminates the other recyclables and it is dangerous for recycling employees and problematic for recycling machinery. Click here for a list of the glass drop-off recycling sites in Omaha. Did you know that some of the soft/film plastics that CANNOT be recycled in your green curbside recycling bin CAN be recycled using the Wrap Recycling Action Program (WRAP)? Items like plastic grocery bags, plastic film, such as produce bags, dry cleaning bags, and the wrap around paper towels can be recycled at participating stores. Click here to find a WRAP location nearest you. 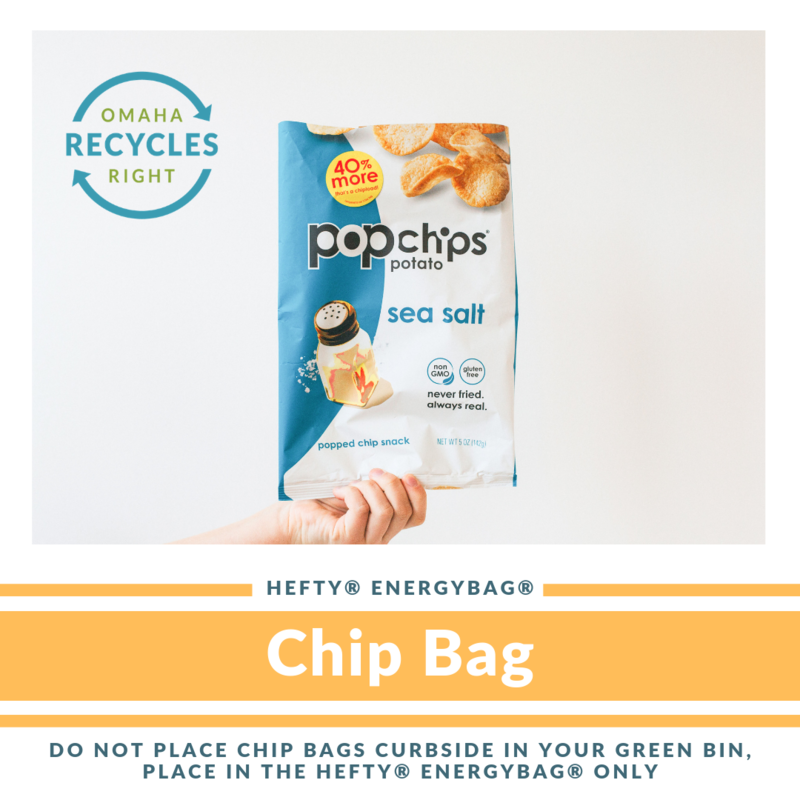 Non-recyclable soft/film plastics that CANNOT be recycled by the WRAP Program CAN be placed in the orange Hefty® EnergyBag® as part of an energy recovery process. Items include snack bags, candy wrappers, toothpaste tubes, plastic utensils, and polystyrene (styrofoam) cups, bowls, and take-out containers. When your bag is full, just tie up the orange bag and place it in your curbside green bin along with your mixed recycling. These are the ONLY plastic bags that should ever be placed in your curbside green bin. The orange bags are hand sorted at the recycling facility. 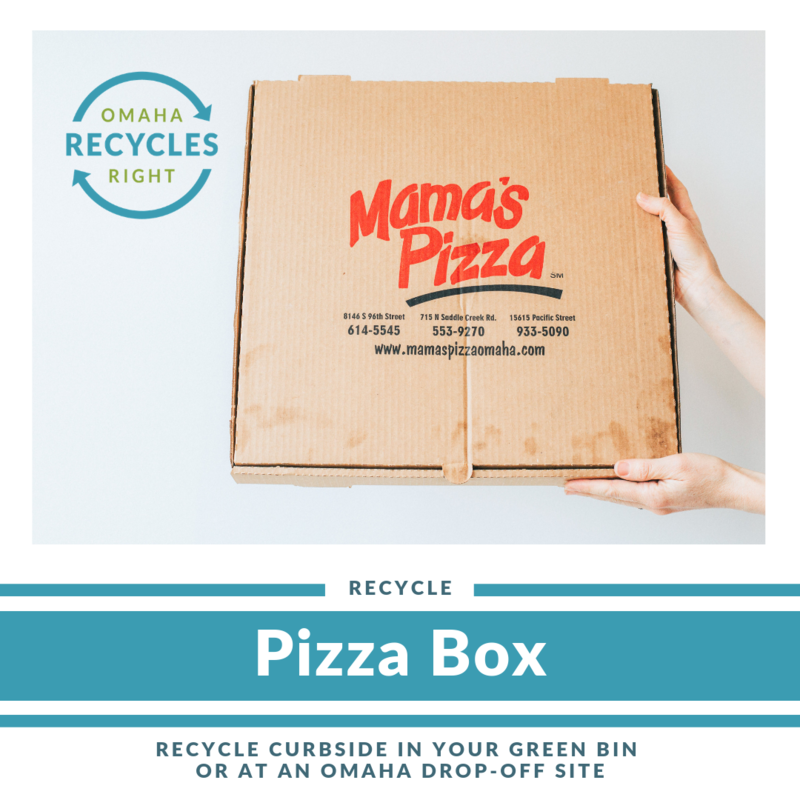 Some items cannot be recycled in your green curbside recycling bin or taken to a City of Omaha recycling drop-off site, however, there may be other options for recycling and reuse. 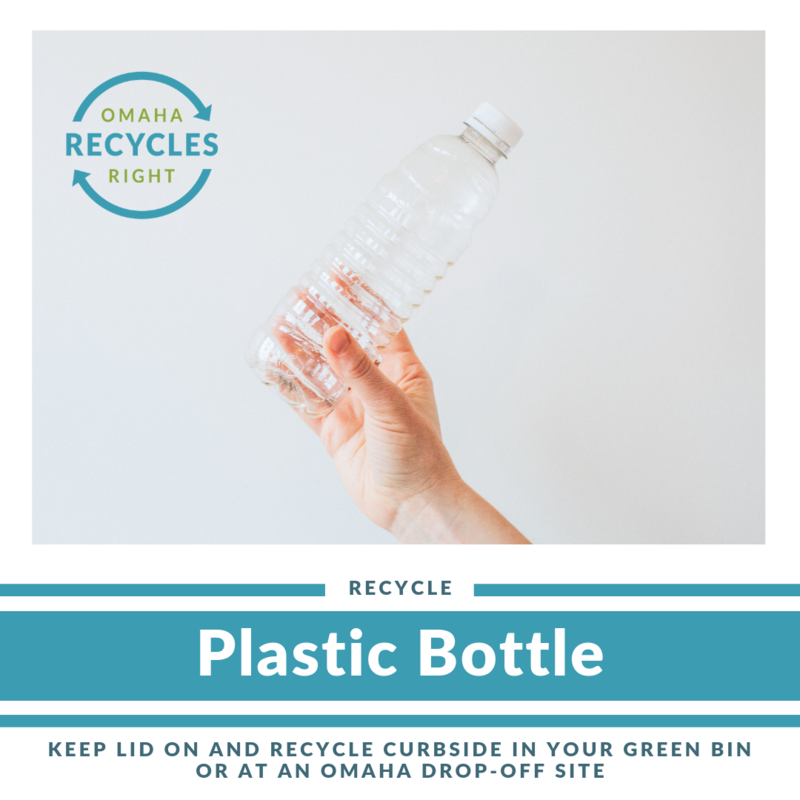 Keep Omaha Beautiful has created a Recycling & Reuse Guide to provide information and resources for diverting special waste items for recycling or reuse in Omaha.